Usually the above idiom has a negative connotation. This is not the case here. I am referring to the introduction of lean proteins in my new eating lifestyle. The past couple of weeks I have been transitioning into Phase 2 of the weight management program I’ve been involved with since October of 2011. During this transitional period I get to reacquaint myself with lean proteins that are outside of the HMR shakes and entrees I’ve been consuming since that autumn date. HMR does not currently produce an entree with any form of fish in it. I have heard that it is to hard to process a fish entree with any kind of shelf life. So, I have missed seafood and fresh water fish for several months. The first week of Phase 2 I was able to eat a serving of lean white turkey breast along with my family for Christmas Eve dinner. The following week we could have two servings of lean protein. I found some white fish called Swai at the grocery store. I hadn’t heard of it before. I lightly breaded it, added some spice, Parmesan cheese and baked up a couple of pieces for my bride and I. It was delicious, and so great to once again savor the taste of good fish. For my other weekly allowable serving I had a meal laced with a can of albacore tuna. Yummy! This week I can have three servings of lean protein. Woo Hoo! 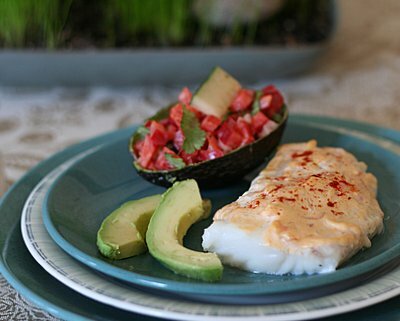 I have found a recipe for smoked Tilapia that looks very good. It takes about 1.5 to 2 hours to smoke. I miss using my smoker and the delectable products it produces. (sniff..sniff) So, while it is still fairly warm in Nebraska, I am going to fire up the smoker for some fish. It should be great. For the rest of the week I am not sure what else to have, but I have so many resources at my disposal. One of them is you, the reader? Any ideas? Weight loss wise, I am once again back on track. At my last weigh-in this past Wednesday I was down 6.2 lbs for the week. That figure puts down what I had gained over the Christmas break plus another couple of lbs lost. I have adopted those Sprint 8’s and do those on every other cardio exercise day. I am finally feeling stronger in my weight lifting, thanks to my additional protein intake. Sore muscle means muscle growth. Update: The smoked Tilapia was excellent. See FB posting with comments link below.